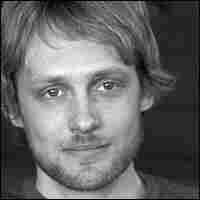 Benjamin Kunkel's Tale of 'Indecision' Benjamin Kunkel talks about his debut novel, a tale of twenty-something angst called Indecision. Kunkel is also a co-founder of the literary magazine n+1. Paper or plastic? To quit or not to quit? To commit or not to commit? Indecision tells the story of 28-year-old Dwight Wilmerding, who is not so much lonely as bored until he jumps at the chance to try an experimental drug offering him the hope of putting more decisiveness into his life. 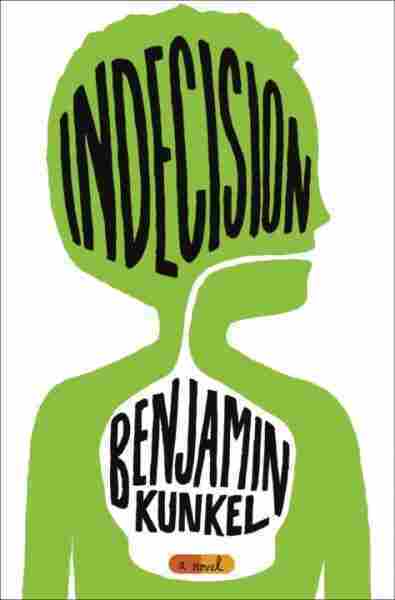 Scott Simon talks with author Benjamin Kunkel about his debut novel, Indecision. To call his novel a "coming-of-age" story is fair, he says, but "I hope that [the term] doesn't induce a boredom immediately... I hope I've written a decent coming-of-age novel." Kunkel is also an editor at the literary magazine n+1. In the months before Ecuador I was all about The Uses of Freedom–or Der Gebrauch der Freiheit if you're German. Late at night I would look at the words of this very deathocentric book, and on that Saturday night with Vaneetha (which had so far failed to distinguish itself from many of the Saturday nights preceding it) I was looking again at the words, with one eye open and the other shut since I'd taken out my contacts and otherwise couldn't focus on the lines. "Procrastination is our substitute for immortality," went the first half of the sentence I was rereading; "we behave as if we have no shortage of time." I read the book at maybe two pages an hour. Yet I felt more slow than stupid, and suspected it had always been thus with me. Maybe my slow temporal metabolism wasn't equipped for the efficient digestion of modern–or postmodern–life, as it had apparently already been for some time. Sometimes I felt like I'd never catch up with even the little that had happened to me. There had already been too many people and places, and the creaking stagecoach journey or straggling canoe ride by which one location might observe, in olden times, how it became the next (and one Dwight, the next, uncannily similar Dwight) had been supplanted by the sleight of hand of subways and airplanes, always popping you out in unexpected places. At least at night the phone didn't ring. My feeling was, the soul is startled by the telephone and never at ease in its presence. Often on a midtown street someone's cell would ring and half a dozen people would check their pockets to see if it was them being called, and I'd glimpse a flash of panic in one or another guy's eyes. Myself, I kind of felt like I needed my news delivered by hand–to look out the window as some courier appeared in the field, coming from a distance so my feelings had time to discover themselves. But instead people were always calling and asking me to do things, and since only pretty rarely was I really sure I wanted to, my system was to flip a coin. "Hold on let me check my . . . yeah sounds cool but hold on . . ." I would say in the Chambers St. kitchen or if someone called at work. But I didn't have a date book and was actually consulting one of the special coins. Heads, I'd accept–whereas tails, I'd claim to have other plans. I was proud of this system. Statistically fair, it also kept my whole easy nature from forcing me to do everyone's bidding; it ensured a certain scarcity of Dwightness on the market; it contributed the prestige of the inscrutable to my otherwise transparent persona; and above all it allowed me to find out in my own good time whether I would actually have liked to do the thing in question. By then it was invariably too late–but everyone agrees that knowledge is its own reward, and so do I. A night alone meant I could get a jump on The Uses of Freedom. At this rate there was every possibility of my finishing inside of the year. "Why don't you just write the thing," Dan said. "It would probably be faster." "But how would I ever come up with Der Unternehmungsgrund der Individuums on my own?" When I first read about this ground for the individual's action, I could at last put an unwieldy and foreign name to what I had felt had been missing from my life ever since puberty struck and my prep-school days commenced, more or less at once, and I'd begun to proceed unsteadily from day to day as if I were on a bridge swaying in the wind while both sides of the canyon–I mean past and future–disappeared in foggy weather. Suddenly I'd lost the sensation of there being either a source or an end to my life, an original birth or ultimate death, and was therefore amazed at how everyone seemed to consider me a solid reliable young man. Otto Knittel, I was learning as a much older young man, was way into forests, so while reading him I would imagine decamping from the city and going to live in the woods in Vermont. With a dog. Or several dogs. The idea was to inhabit a cabin, baking bread and hardly even watching TV, petting and talking to the dog, or dogs, and drinking tea instead of so much coffee. Sunlight, wide floorboards, caller ID for the phone . . . And old friends from the city could drive up to admire my aura of wisdom and calm benevolence that I would be too egoless even to notice. I felt that in these circumstances the ground for my actions might sort of percolate up through me in this slow molten way, and a prayerful clarity of consciousness would finally pop into my brain. Then I would know what to do. Then I could return to New York, and do it. But in the smaller of the hours I could get to feeling bad that I hadn't even looked into doing "it" yet. And the feeling was worse if the night ended with the warm smooth length of Vaneetha at my side, as she slept and breathed beneath my not-so-clean cotton sheets. There were starting to be signs that a serious attachment to me had been formed, by her, so that not only would I need to slip out of the city to go let my truer understandings avail themselves of me–I'd also have to extricate myself from someone else's life. One good thing was that at least I didn't have a lot of furniture to take. However first I would need to find a town in Vermont, and a job there. Yet I was full of hope that the new information-based economy might really spell the end of geography and I could do tech support from the woods. Then again this hopefulness was so 1999, and now it was May 2002–late May already. In any case I had a to-do list (more a list of good intentions) and before finally going to sleep I would get up to write down–after GROCERIES! or MOM RE: CHURCH!! or VANEETHA? or PAPER TOWELS or COST OF SHRINKS?–LOOK INTO VT. OPTIONS. So it would be late at night before I fell asleep. But don't worry: I got plenty of sleep. Not only was I an excellent sleeper, but I had no functioning alarm clock to disrupt my Cimmerian rhythms. Of course when the relevant button broke off, I'd put it on my list to get another clock. But then at work they–or Rick, the manager–made an announcement, which was that although we who worked at Pfizer in the Problem Resolution Center were already only subcontracted, we were still considered in house for the fairly inarguable reason that our office was housed in Pfizer headquarters. Soon some guys in Mumbai, India, were going to be doing our work for less of our pay. "You sayin we getting outsourced here?" my colleague Wanda asked. Rick was saying that, and adding this sick little smile all his own. The effect on morale was not good. In my case I saw that globalization was for real and declined to replace my alarm clock. What did I have to get up for if my days at Pfizer were numbered anyway? Now I usually just woke around ten, yawning and stretching, replenished with ignorance. Work was officially beginning but I would go out and get an everything bagel–impossible, otherwise, to choose–and come back and toast the halves and slather one with pesto and the other with Nutella. Yum. So far my main accommodation to Vaneetha-Dwight domesticity was to keep little jars of both condiments at her place in Carroll Gardens. "I still can't believe what you'll put in your mouth." Her dad's various ambassadorial postings had caused her to be educated in British-run schools, and she pronounced can't like as in philosopher Immanuel Kant. "But I'm touched you're moving in, after your fashion." Morningtime fun could be had if she was game and would feed me a mystery bagel half while my eyes were closed. "To have no idea," I would say, "when both options are so equally good!" From Indecision by Benjamin Kunkel. Reprinted with permission from the publisher.